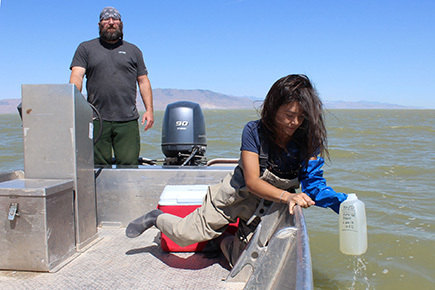 The Utah Division of Water Quality and the Utah Department of Health co-organize a Water Quality Health and Advisory Panel whose objectives are to coordinate and communicate on water quality issues associated with specific public health concerns. The primary current focus of the Panel is coordination around E. coli, mercury, and Harmful Algal Blooms (HABs). The Panel has two primary goals. First, the panel facilitates interagency coordination and communication. The second goal is to ensure that the monitoring, assessment and response to water quality problems related to health effects are based on sound science; hence the panel membership is comprised of individuals with a breadth of expertise and experience. While the primary focus of the panel is human health, the group will also consider effects of these contaminants on all beneficial uses including aquatic life and agriculture.